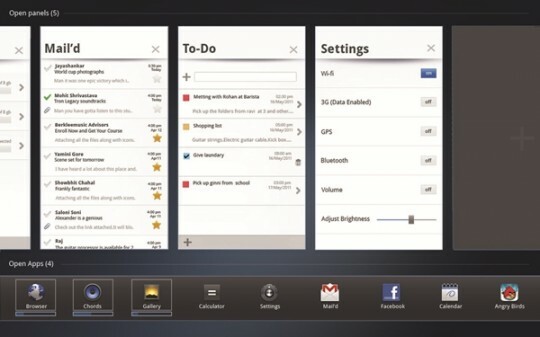 Home News Notion Ink Tablet gets Gingerbread update, does anyone care anymore? Notion Ink Tablet gets Gingerbread update, does anyone care anymore? Notion Ink has added a new chapter to their two year old odyssey of building their Adam Android tablet from scratch. Notion has confirmed an update providing Android 2.3 Gingerbread, a new browser, and even a new eBook reader client. As you well know, Notion has been blogging the process step by step, giving users an inside peek on how tablets are created. For awhile, we thought they’d disappeared. Then last month, they announced updates to their tablet were forth coming. But since Adam was launched, Notion has run into customer service and shipping issues which has caused many who were eagerly awaiting release to seek other options. So the question is … does anyone really care? Notion says that updating to Gingerbread moves them towards the goal of acclimating the Kernel and all apps closer to a merge to Honeycomb, which will require converting to eMMC OS. In addition to Gingerbread and the new eBook reader, usability issues resolved, a new multi-tasking environment added, and even simple video and music players. But could it be it too little to late? Next articleAsus Transformer preorders cancelled by Target – or were they?